Germany is likely to halt coal mining when government subsidies end in 2018. This will make coal power plants dependent on imports, reports Associated Press (AP). 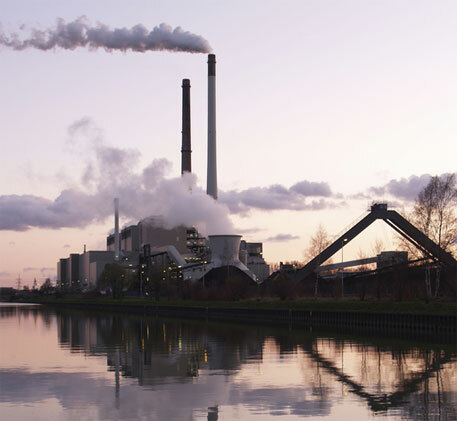 One of Germany’s newest coal-fired power plants, the 750-megawatt (MW) Trianel Kohlekraftwerk Luenen GmbH & Co., relies completely on imports, mostly from the US, the report states. In fact, the US has been an active supplier of coal to the world’s most energy-efficient nation—Germany’s import of US coal has more than doubled since 2008. According to a Wall Street Journal report, America’s “dirty and unwanted coal” is being embraced in one of the world’s cleanest energy markets, the European Union. The report attributes Germany’s dependence on US coal to the 2011 Fukushima nuclear disaster in Japan, following which Germany decided to phase out of nuclear power. Too much coal for clean energy nation? Recently, a Washington-based non-profit, American Council for an Energy-Efficient Economy, ranked the world’s 16 most energy-efficient nations. Germany took the top spot. However, its carbon dioxide emissions last year grew by 1.2 per cent, largely because the country burnt more coal to meet rising demand for electricity in other countries in Europe, the AP report says. According to environment officials in the country, the recent boom in coal-fired power is making it harder for the country to meet its climate-protection goals. Germany’s demand for coal has increased because it is cheaper than other alternatives, particularly natural gas. Activists put the blame on US President Barack Obama. “This is a classic case of political greenwashing. Obama pretties up his own climate balance, but it doesn’t help the global climate at all if Obama’s carbon dioxide is coming out of chimneys in Germany,” the report quotes Dirk Jansen, a spokesman for BUND, a German environmental group. The US administration, meanwhile, appears least concerned about the contribution of this exported pollution to global warming. According to White House officials, US coal has a negligible global footprint. “There may be a very marginal increase in coal exports caused by our climate policies,” Rick Duke, Obama’s deputy climate adviser, told AP. Last year, US exported coal worth $11 billion in revenue globally, the report says. Citing data provided by Bundesnetzagentur, the grid supervisor, the report says Germany has built five new coal plants since 2008, adding 4,286 MW of new generation. The country plans to add an additional 6,661 MW in coal-fired plants from 2014 through 2018 while closing operations in older plants. Although the new plants in Germany are cleaner and more efficient, they are also bigger, which means they would require more coal.